Bob Moriarty: A Monumental Buying Opportunity in Precious Metals Shares is a Few Weeks Away | Energy and Gold Ltd.
For someone who professes to absolutely not be a market timer, Bob Moriarty has some pretty good timing when it comes to the precious metals mining sector. At the end of last year Moriarty, Founder of 321gold, repeatedly went on record saying that the bottom was in for gold and gold mining shares, and he was right. In an interview dated December 17, 2015 Moriarty stated “I think we are at a turning point (in mining shares)” and on February 1st he again emphasized that the bottom was in for gold and gold mining shares; from February 1st to the mid-August peak the GDX rose more than 100% and gold rallied by more than $250/ounce. Recently Moriarty has been calling for a summer correction in the precious metals space, which has materialized during the last several weeks. Given the recent correction we thought it was a good time to connect and get an update from Bob as to where we are at in the market cycle and get a glimpse into some of his favorite juniors, which he has fondly coined “penny dreadfuls”. CEO Technician: The GDX has declined about 20% from its August highs and you’ve been right in that a correction would take place in the precious metals sector during the summer. How much further do we have to go and when is it time to start buying again? Bob Moriarty: First of all everyone wants to believe that markets are moved by news. I really don’t believe that. Markets go up and markets go down and the idea that everyone is sitting by their computers waiting to place an order depending upon what the news is just isn’t the way that investors work. We had a booming rally from January through August which took the GDX roughly 150% higher and many individual stocks went up 400% or 500%. So when you’ve had an incredible rally like we’ve had a correction is to be expected. Markets go up and markets go down. A correction is going to shake out the weak hands and when the weak hands have been shaken out you can be sure that the rally will resume. At the first of August I think we were at 30 weeks into the rally and that’s a bit long in the teeth so it’s perfectly natural for it to correct. A six to eight week correction is perfectly reasonable and the more it goes down the better it is for investors. I believe that this will be the last time to get on board the train. I’ve said a number of times that people should have taken some money off the table when they have great returns, and they should keep that cash ready to deploy. You’re going to have a wonderful opportunity to buy stocks cheaper than they were a few weeks ago. This is a perfectly normal correction in a new bull market. CEO Technician: Let’s be clear, you’re saying that gold mining shares could have another 2-4 weeks of downside before a monumental buying opportunity? Bob Moriarty: That’s correct. Of course the correction could end at any time, however, the bigger the correction the more opportunity there will be. So if the XAU went down to 75 which happens to be about where the 200-day moving average is right now that would be even better. We’ve had about a 20% correction so far, but if we had a 40% correction we would shake out a lot of the weak hands and get rid of most of the speculators in gold. We could then advance sharply from there. CEO Technician: I look at a lot of indicators, both in terms of chart technicals and sentiment, in order to determine how oversold a market may be at a given time. What do you use to determine how shaken out a market is and help inform you as to when it might be time to do some buying? Bob Moriarty: People who are good at technical analysis such as yourself are a whole lot better at this than I am. I do a lot of stuff just by feel but I am a true contrarian; a deep correction doesn’t scare me, a deep correction thrills me. I would love to see another 20% of downside because that will set the stage for another 100% rally from the bottom. When the weak hands are shaken out and people start saying that the gold shares will never go up again that will be the time to buy. CEO Technician: If we get another big down day in the precious metals sector in the next couple weeks I think I will turn on CNBC, which I never watch, just to see if they trot out a bunch of gold bears. If that happens it will probably be a great time to buy. Bob Moriarty: That’s absolutely correct. Those are the kinds of indications you want to be looking for. I’ve been in the gold field since 1968 and I’ve seen the same sorts of patterns repeating over and over again; when the panic starts setting in among the bulls and the bears are cheering that’s when wonderful opportunities arise. This is what happened last December and January, nobody wanted to own gold stocks and since then we’ve had hundreds of stocks go up 300,400, 500%. CEO Technician: In the event that we do get this monumental buying opportunity in the next few weeks where should investors look to first for buying opportunities? The juniors? The mid-tier producers? Or the senior producers? Bob Moriarty: The answer to that all depends on the taste of the investor and their risk tolerance. For a lot of investors the gold ETFs GDX and GDXJ are simple and easy ways to gain exposure to the gold mining sector. For those who are willing to take more risk and target 300%-500% returns you can do some research into the penny dreadfuls (junior mining shares usually listed on the TSX-Venture Exchange). Some of these stocks will go away to penny dreadful heaven, but a lot of them are going to go up 300%+. The mid-tier producers are also a good place to look; companies that are already in production and could be potential acquisition targets for the majors. Silvercorp (SVM.TO) is an example of a mid-tier miner that we spoke about back in January/February when SVM shares were below C$.70 and subsequently rallied more than 500%. CEO Technician: Give us some of your favorite names right now. Bob Moriarty: It’s funny that you ask that because I’m literally writing a story right now about Redstar Gold (RGC.V) and they’ve got a big gold project in Alaska. Here’s what’s interesting, regardless of what you think about the company and how high it could go, they’ve got about 68 million warrants that are going to expire between now and November. Some of the warrants are at C$.10 and some are at C$.12 and they are going to be an overhang and artificially keep the price of the stock down until the warrants expire. While I think RGC should be up at C$.25 or C$.50 these warrants are probably going to keep RGC’s share price artificially cheap. When the last of these warrants expire I expect RGC shares to go a lot higher. They’ve got C$4.5 million in cash and they’ve got an ultra high-grade gold mine that was in production in 1891, five years before the Klondike Gold Rush. Strong accumulation of RGC shares since July have propelled the stock higher by ~300% and Moriarty thinks there’s at least another double left once the overhang of the warrants is lifted. Another absolute sleeper is California Gold Mining (CGM.V), they’ve been very quiet and there hasn’t been much news. This is a company that has a one million ounce, non 43-101 compliant resource in California, they’ve been drilling the crap out of it for years and I suspect they’re going to come out with a resource estimate in the next couple of months that’s going to be very attractive. Everybody knows that the Summer time isn’t a great time to release news so starting Tuesday after Labor Day you’re going to see companies releasing a lot of good news. CEO Technician: I pointed out in a blog post last week that September has historically been a great month for gold although that hasn’t been the case the last four years. So we have an interesting situation with the monumental buying opportunity you mentioned, positive seasonality, and positive news flow for the sector. The last time we spoke you were very positive on platinum, and platinum relative to gold. In the subsequent weeks after we spoke platinum rallied about $100/ounce and has since been hit pretty hard during the recent correction in precious metals. Are you still bullish on platinum? Bob Moriarty: I am still bullish on platinum relative to gold. From a historical perspective platinum is about as cheap as it’s ever been relative to gold. Platinum is about $250/ounce lower than gold and that’s only happened about 5% of the time in the last 100 years. CEO Technician: For the next few months U.S. investors are going to be inundated with a deluge of news, or noise depending upon how you choose to view it, ranging from the Presidential election to Fed rate decisions. Which news is important for investors to monitor and does the outcome of any of these events change your overall market view? Bob Moriarty: I’m not sure what the Fed is going to do makes any difference. The election on the other hand is important, this is the craziest election I’ve ever seen. You’ve got a choice between a fool and somebody who belongs in jail. This is the most disgusting election in U.S. history, probably world history. If this is the best the United States has to offer the empire is over. CEO Technician: We’ve seen some new developments in Syria, Turkey has actually rolled tanks into Syria as you predicted a few months ago. What’s your take on the latest developments in the biggest powder keg on earth? Bob Moriarty: I’m going to be 70 in a week and this is the most dangerous time in my lifetime. We are doing something so stupid that it is beyond any rational belief. We don’t have two sides we are supporting fighting each other, we have three sides that we are supporting fighting each other. It’s the most insane thing that I’ve ever seen – A U.S. General even threatened to shoot down Syrian aircraft if they attacked terrorists in their own country. I also think that Turkey is making a very serious mistake by screwing with Putin. This situation could literally go ballistic overnight, it’s a very dangerous situation. If you think about it what right does the U.S. have to overthrow Assad? What geopolitical interests do we have in Syria? The answer is none. This is a disastrous situation and the U.S. has no business being involved. CEO Technician: I wanted to mention an individual stock, Japan Gold, that is IPOing in September on the TSX-Venture. It’s an interesting name because they are the only publicly traded Japan based gold miner and the company has 80 prospected licenses to some highly prospective areas in which there has been historic gold mining activity. What’s your take on Japan Gold? Bob Moriarty: Japan is home to what was at one point the highest grade gold mine in the world, the Hishikari Mine. 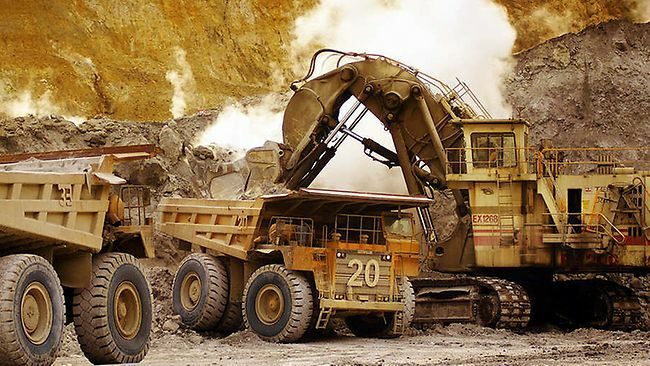 Japan Gold is a sleeper, before the IPO you can buy into Japan Gold by buying into Southern Arc Minerals (SA.V) – Southern Arc will end up owning ½ of Japan Gold after the IPO. As soon as I heard the news I went out and bought Southern Arc on the open market. CEO Technician: What else do you believe readers should know about? Bob Moriarty: I wrote about Novo Resources recently and it’s a company I’ve written about numerous times over the last five years. They did a BLEG survey with the help of Newmont Mining (NEM) and they located an area that was just lit up with gold but unfortunately it was not on their property. They spent the last couple of years picking up pieces of ground that nobody else wanted. They’ve actually got 3 major projects in progress right now and they are going into production on a small scale. They are drilling in Nevada. Results should be out in 3-4 weeks. We can expect some big intercepts on the order of 2-3 meters in length but multiple ounces in grade. NVO has seen strong accumulation in recent weeks, a breakout above C$1.30 targets C$2.00+. As usual Mr. Moriarty didn’t pull any punches and I might add his call that “the last chance to get on the train” in precious metals mining shares is literally weeks away is bold to say the least. We live in interesting times and September is shaping up to be an action packed month for market participants as multiple forces intersect simultaneously. We would like to thank Bob for his time and we look forward to connecting again in the next couple of months to update some of what was discussed in this interview. To find out how CEO Technician is trading the resumption of the gold bull market subscribe to his premium service and receive daily morning market emails, access to a real time trading lab with live trade updates and market analysis, along with a junior mining model portfolio.